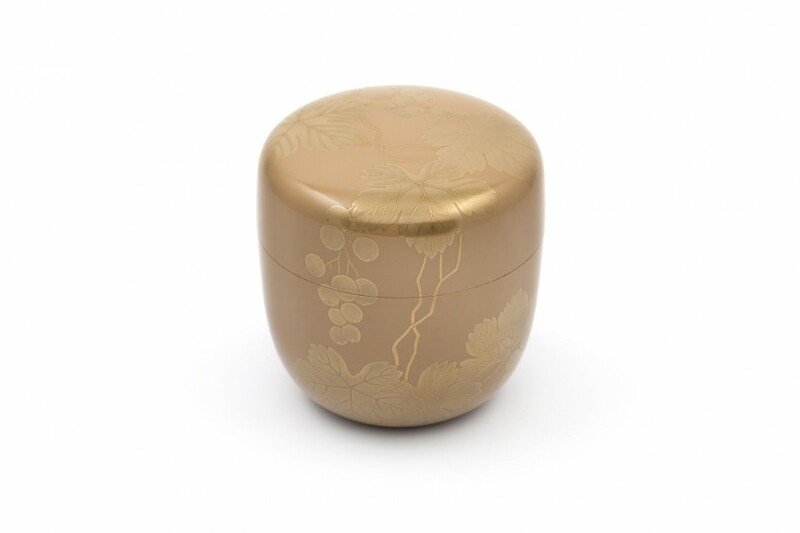 Description: Beige lacquered natsume (tea caddy) decorated with kiri (pauwlownia) in gold. C. 1950s. Signed: With original wooden box, signed by artist.